Kerseys is backing the honouring of a well-known Ipswich woman – who has links to our company – with a blue plaque. 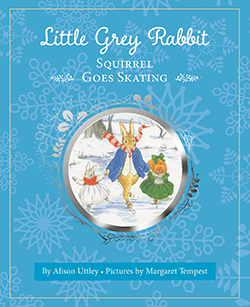 A representative from Kerseys will attend the unveiling of illustrator Margaret Tempest’s plaque on Saturday (October 8). 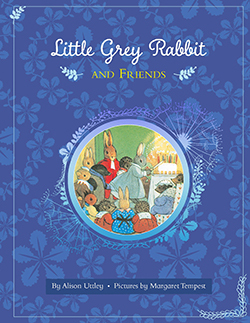 Tempest, who illustrated Alison Uttley’s Little Grey Rabbit books from 1929 until the 1960s, was the sister of one of the founding members of the 125 year-old law firm. Kerseys, which has a head office in Lloyds Avenue, was originally called Kersey Tempest and Latter. Jane Riley, a partner at Kerseys and head of the residential property department, said: “Margaret and her family were well-known in the town. Her father was Mayor of Ipswich her elder brother, Roger, was a rector at nearby Kersey and her younger brother Frank, was a solicitor and later became mayor. The Ipswich Women’s Festival Group (IWFG), in conjunction with the Ipswich Society, are going to unveil four blue plaques to honour some of the women who have played a significant part in the town’s history. Kerseys has made a donation to update the IWFG website to showcase new projects and events. The firm will also support a fundraising quiz at Arlingtons Brasserie on Sunday, November 6, in a bid to raise the extra £400 needed. IWFG member Pat Dobson said: “We are delighted to receive a donation from Kerseys to enable us to update our website. The three other women are: Nina Layard (1853-1935), an Edwardian poet and archaeologist who is credited with the first excavations of the Old Dominican Friary in Blackfriars, Foundation Street, Ipswich in 1898; Constance Andrews (born 1864) who founded the Ipswich branch of the radical suffragette organisation, the Women’s Freedom League (WFL) and Mary Whitmore (1884 – 1974), who was the first woman mayor of Ipswich. Nina Layard’s plaque will be at Blackfriars in Foundation Street. Constance’s plaque will be at Arlington’s Brasserie – marking where she organised an action at the then Old Museum Rooms on Census night, April 3, 1911. Up to 30 women stayed away from home to avoid filling in their Census forms. Mary Whitmore’s plaque will be on the Town Hall, Corn Hill. Margaret Tempest’s plaque will be at 3 St Edmunds Road, Ipswich (a private house). A fundraising quiz will be held at Arlingtons Brasserie, in Museum Street, on Sunday, November 6. To take part or to make a donation to the update the Ipswich Women in History website, contact: [email protected] or call 01473 256 069. Tempest showed a gift for drawing from an early age and attended the art school in Ipswich before going on to Westminster School of Art in 1914. She co-founded and was secretary of the Chelsea Illustrators Club, which put on annual exhibitions and ran a successful business selling their work and producing commercial material, including Christmas cards. Margaret also taught in private homes and in a prep school in Hertfordshire where Peter Scott was one of her pupils. 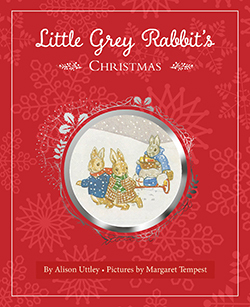 Apart from Little Grey Rabbit, she also illustrated a number of other children’s books and designed picture postcards for the Medici Galleries. She also wrote and illustrated religious books for children and her own series of Pinkie Mouse and Curly Cobbler stories. She married late in life a widowed cousin, Sir Grimwood Mears, a former Chief Justice in Allahabad, India, and they had a happy time together till his death at the age of 93 in 1963. Sadly, Tempest’s final years were clouded by Parkinson’s disease which prevented her from drawing. She died aged 90 in 1982.